5 piece Delrin plug follower set for rekeying a variety of locks. 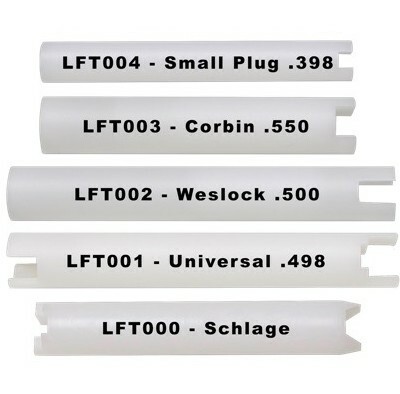 SKU: LFT005. Category: Locksmith's Tools. Brands: LAB. 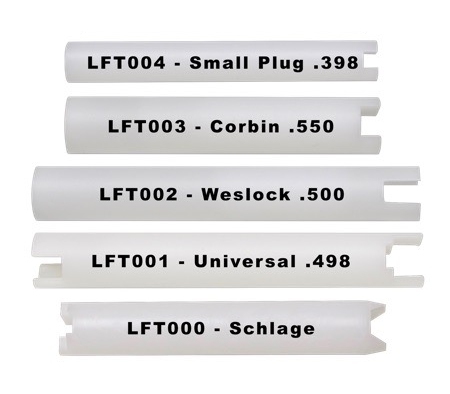 LFT004 Small Plug (.398) Dia.